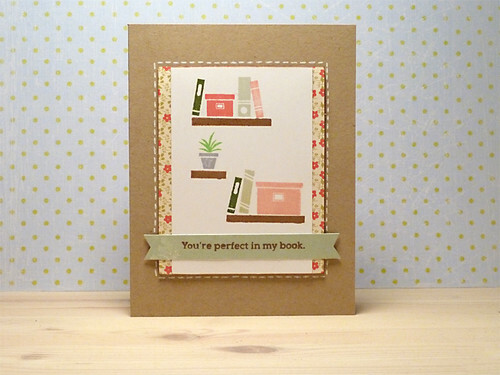 Stamps and papers from the Simon Says Stamp Card Kit, August 2014. 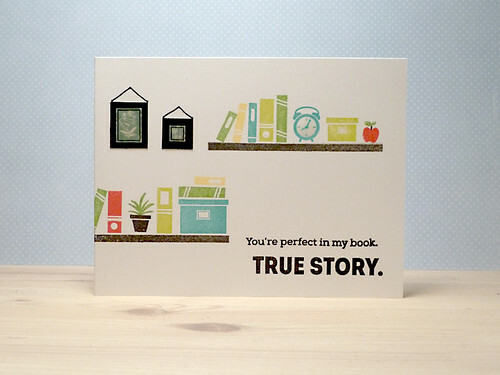 Letter stamps from Lawn Fawn. White embossing and glossy accents and some Wink of Stella glitter. This is a clean and simple card made with inspiration from The card Concept Challenge #17. 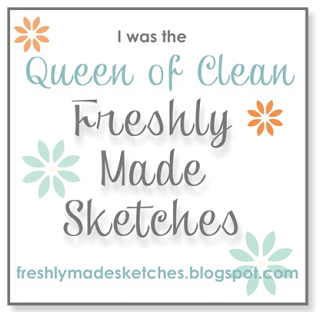 I chose to use the clean and simple style. I used ink from Avery Elle and Versafine Smokey grey. The flower stamps comes from Hero Arts and the greeting is from a stamp set from Simon Says Stamp. 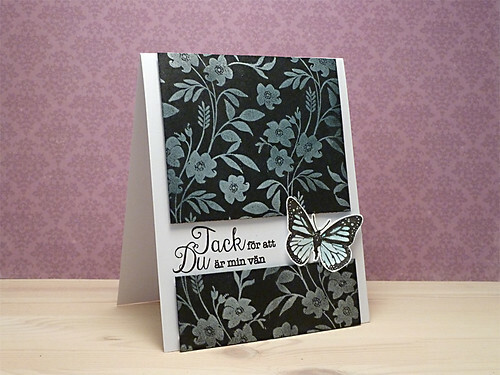 I also used some white embossing for the border, the stamp also comes from Simon Says Stamp. 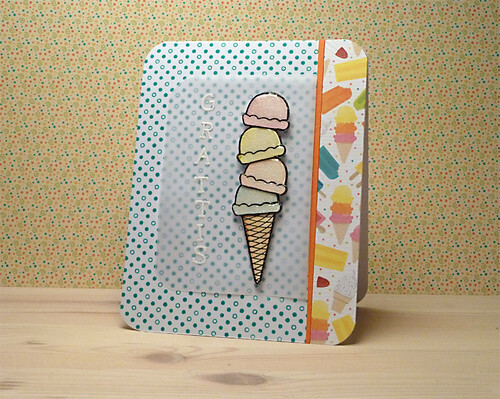 Stamps and materials from the Simon Says Stamp Card Kit, September 2014. 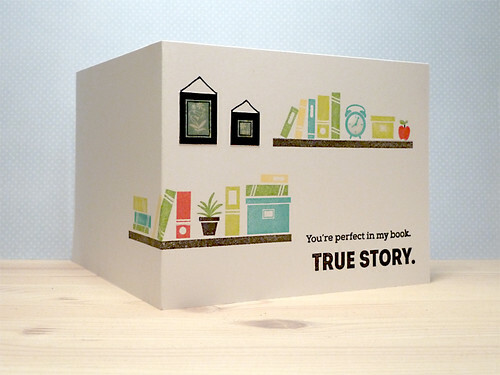 I found inspiration from Cristina, (I really admire her cards and creativity), to stamp from the front to the back. Inks: Avery Elle, Versafine Smokey Grey and Onyx black. I also used: glossy accents, some paper piecing and some wink of stella clear glitter pen. 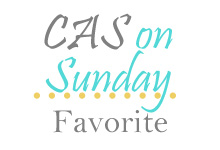 A card made based on a sketch from CAS(E) this sketch #89. Unfortunatley I was too late to enter the challenge, as usual. I use to find sketches and then when I'm finally done with the card I'm too late to enter the challenges. Well, that's not the most important thing. I find a lot of inspiration from the challenges and I have to practice and get faster creating my cards. 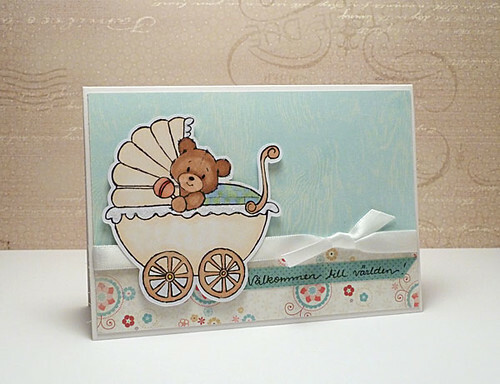 I used paper and materials from the Simon Says Stamp Card Kit September 2014. Inks used: Color box chestnut roat, and different Hero arts ink and Versacolor ink pads. 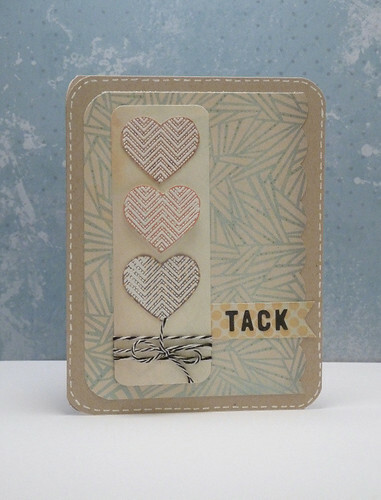 I tried to use one of the techniques from Bonus day on Stretch your stamps 2. It didn't turn out exactly as I hoped, but it was a try. 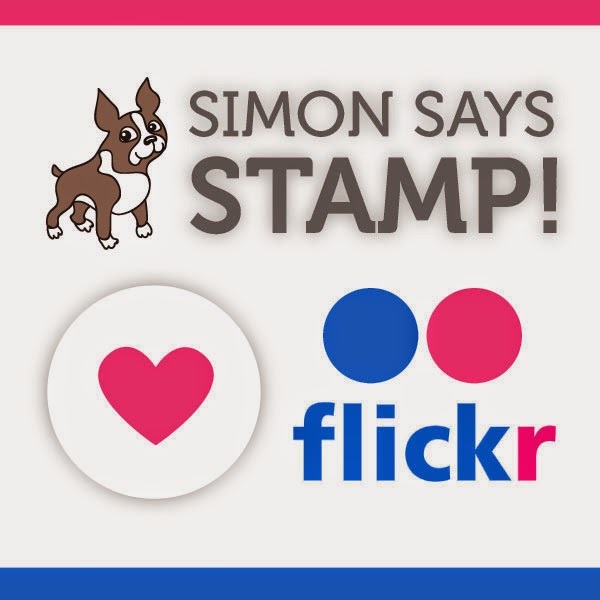 Stamps: Simon Says stamp. Distress inks. 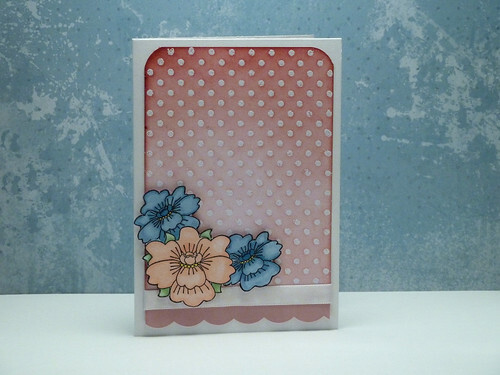 From day 5 on Stretch your stamps 2. With the inspiration from one of the lessons I used paper piecing and layering along with some coloring with pencils. I used a stamps from Inkadinkado and Forma hantverk, patterned paper, pearls, Faber Castell polychromos and Fiskars border punch. Day 4 on Strech your stamps 2. I used a card from the class as inspiration. Alphabet stamps from Lawn Fawn. Distress Inks for the background on the flags. Embossing paste and embossing powder for the background. 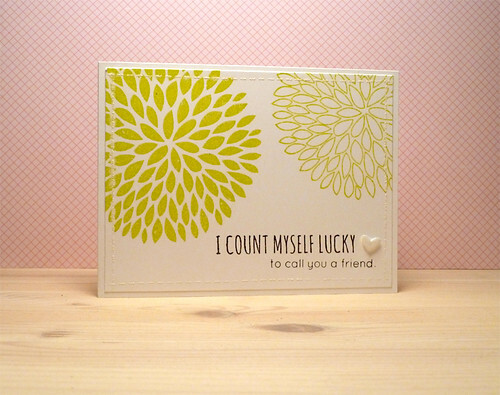 When participating in the Online Card Classes, Stretch you stamp 2 I made this card based on the lessons from day one and two. I used one of my few background stamps from Hero Arts. I white embossed the background and colored the background with Inktense pencils on watercolor paper. Then I went back and colored the hearts once again. 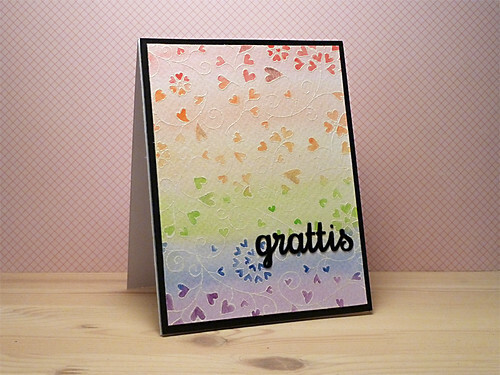 Added some Wink of stella glitter and I die cut the word "grattis" (congratulations) with my Silhouette machine. Added glossy accents but I wasn't able to catch that on the photo. 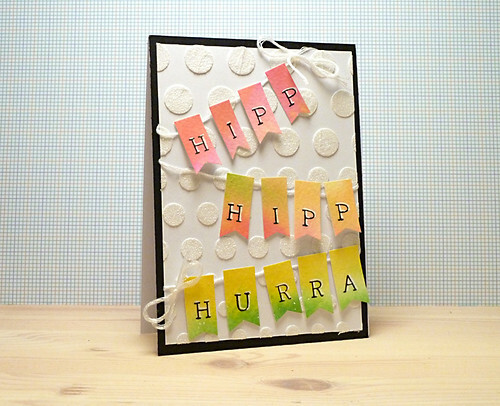 Another card made when participating in the Online Card Class Stretch Your Stamps 2, day one and day two. 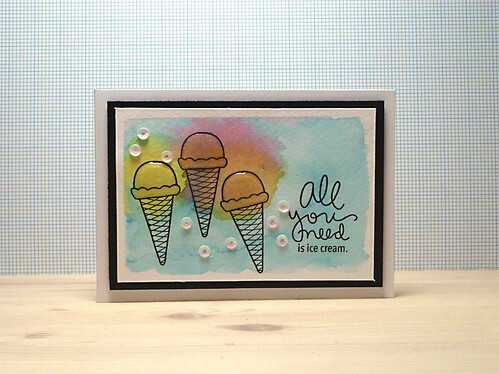 I used another Hero Arts background stamp with Versamark ink and then brushed it with Perfect Pearls. It was difficult to catch the sparkle on the camera. But the flowers are really sparkling! The other stamps are from Forma hantverk and Slöjddetaljer. I colored the butterfly with Distress marker and some Wink of stella clear glitter pen. Ytterligare ett baby-kort. Stämpeln är en digistämpel från Anne Bodil, en freebie. Jag använde min Silhouette Cameo för att skära ut stämpeln. Färgläggningen är gjord med Copic markers. Jag har även använt lite glitterlim, 3d-lack, ett band och lite mönstrat papper från My Minds Eye. Welcome to the world. 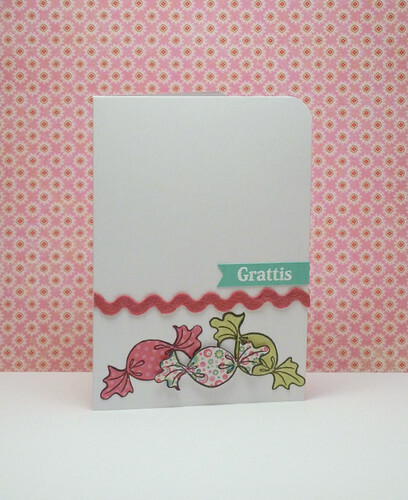 Digistamp Freebie Anne Bodil. I used the digistamp togheter with the Silhouette Cameo for cutting it out. Copic markers Stickles 3d accents. Ribbon Paper My Minds Eye. Ett hybrid-kort som jag gjort med min Silhouette Cameo. 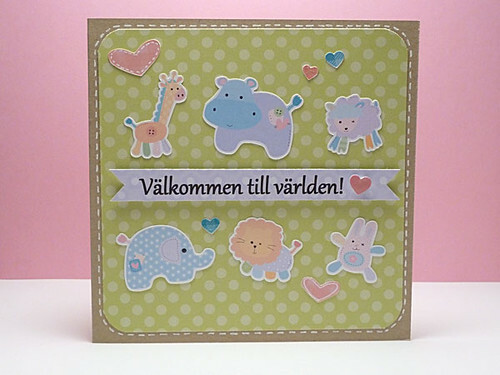 Jag använde funktionen "print and cut" och grafiken kommer från Lettering Delights. Hybrid card. 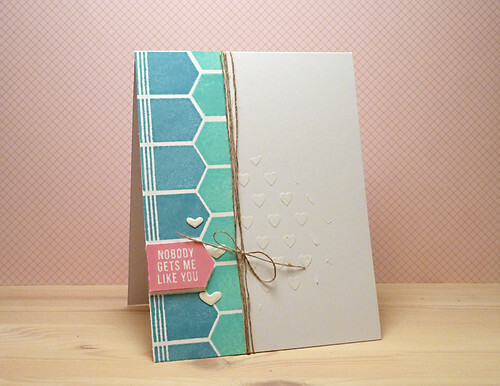 Used the Silhouette Cameo for some print and cuts of the graphics and patterned paper from LetteringDelights. Stämplar från Simon Say Stamp kort kit, november 2012. Stämpeldynor som jag använt är Distress ink och Versacolor. Snöre från The Twinery. 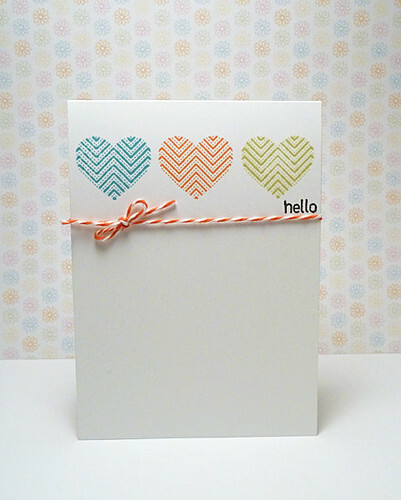 Heart and hello stamp: Simon Says Stamp November Card Kit. Ink: Distress ink, Versacolor. Twine from The Twinery. Ett kort gjort med bakgrundsstämpel från Hero Arts och blomstämplar från Panduro. Jag använde Copic Markers för att färglägga blommorna och Distress ink till bakgrunden. Flowers: Stamps from Panduro colored with Copics Markers. 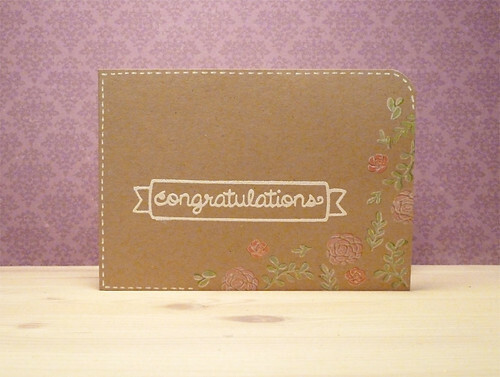 For the background i used a stamp from Hero Arts, white embossing and Distress ink.